Nestled between the Russian River, Alexander Valley and Dry Creek Valley, the BEST WESTERN Dry Creek Inn, located one hour north of San Francisco, and is just minutes away from Downtown Healdsburg and the Historic Healdsburg Plaza where your will find world class restaurants, unique shops, tasting rooms, art galleries, culture & relaxation that Healdsburg so special. Healdsburg is famous for its premium wineries and wines. There are over 200 world renowned wineries which dot the hillsides and the town for you to explore. 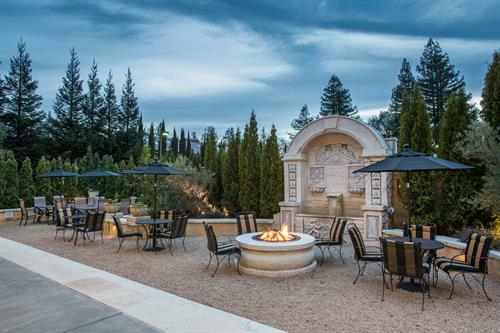 Additionally, nearby are many local attractions which include the Healdsburg Center for the Arts(Raven Theater), Healdsburg Golf Club, River Rock Casino, Russian River activities & Lake Sonoma. There is an abundance of hiking & biking trails as well as kayaking and swimming in the Russian River. Our Northern Italian theme offers two accommodation choices. 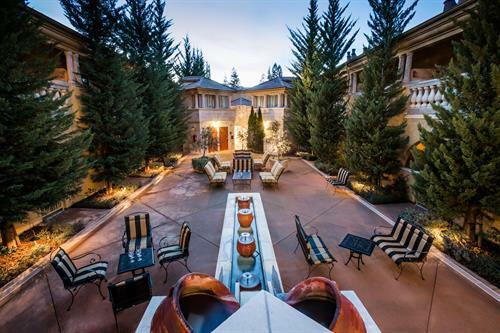 Our beautifully appointed upscale Villa Toscana rooms feature comfortable king size pillow top beds, fireplace, Jacuzzi and private balcony/patio overlooking our Piazza. While our newly remodeled Casa Siena rooms offer spacious rooms with a King or Double Queen beds. You can enjoy our two pools, two whirlpools, sauna, steam & fitness rooms. Free high speed wireless access and hot breakfast daily. Free Wine Road Map, Wine Tasting Passes are available upon request. All guests can enjoy our weekly wine tastings year round on Friday evenings, and on Thursday's during the peak summer travel season. 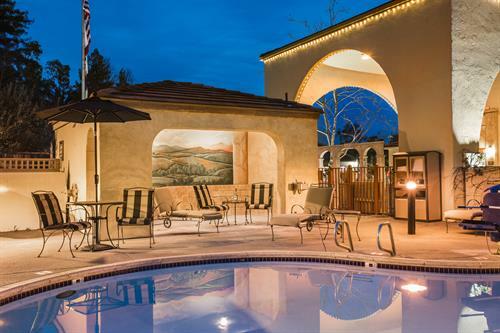 The Best Western Dry Creek Inn is an affordable luxury just one mile from the Healdsburg Plaza. 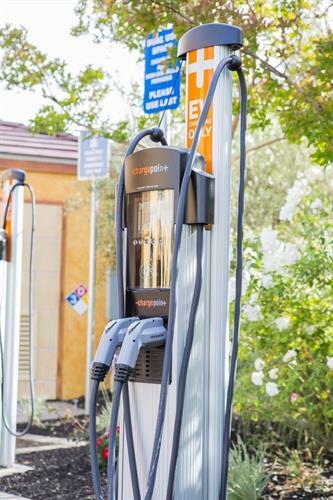 Take highway 101 North or South and exit at Dry Creek Road. The hotel is located is located at the southeast interchange.